This blog is over a year old, and we've neglected to do an entry on the basic A minor chord! 1. Place your index finger on the B string, 1st fret. 2. Place your middle finger on the D string, 2nd fret. 3. Place your ring finger on the G string, 2nd fret. 4. 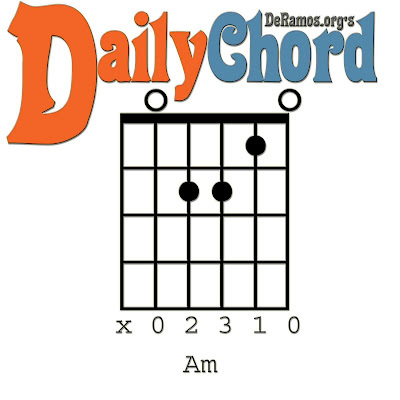 Strum from the A string to the High E string - that's the Am chord!